At its ongoing Google I/O 2017 conference, the company has announced a slew of exciting features that it is bringing to its various platforms. One that caught our eye is Google Lens, a feature that will come to Google Assistant and Google Photos. 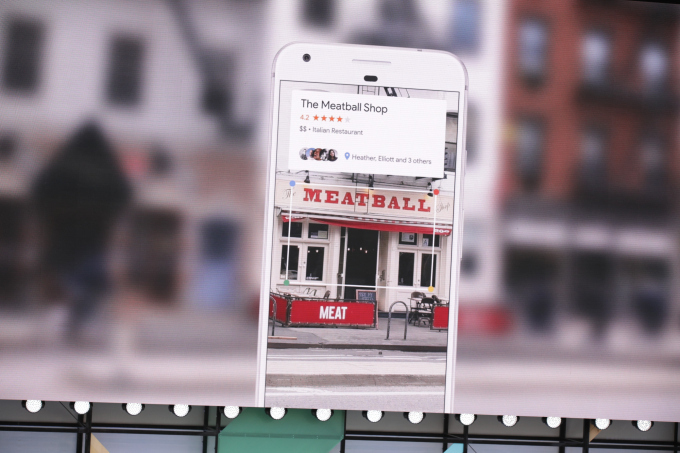 Google Lens makes information search easier than ever! It can tell you a lot about stuff that you point the camera at. For example – If you go out to buy veggies and are not sure about what you see, then simply take out your phone and open Google Assistant > tap on “Google Lens” it will open your camera and give contextual information and options about the product you are looking at. At the event, Google’s CEO, Sundar Pichai took the stage and unveiled Google Lens. It will give you contextual information about anything you point your Android device’s camera at, be it a flower, vegetable, restaurant, password, and more. 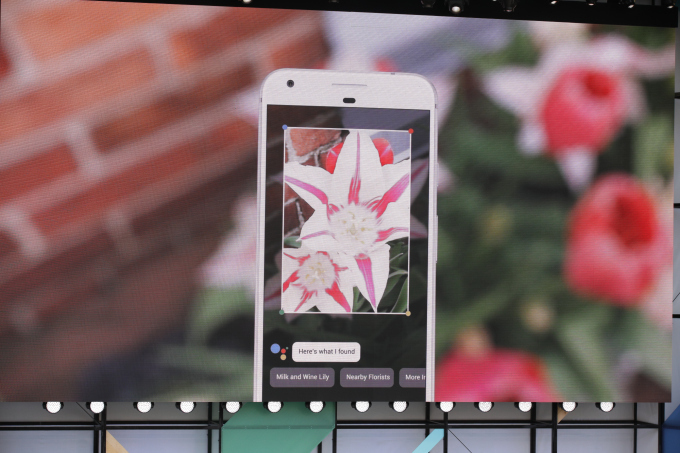 Showcasing Google Lens, the company also gave a live demo of how it works, by pointing the camera at a flower, which was immediately identified by Google Lens. Besides, another example about Google Lens showed Google Assistant using Lens’ technology to translate foreign language on the go. In the demo, the Google Assistant with the help of Google Lens’ was shown to translate Japanese writing to English just by pointing the camera at the sign board. Google also detailed that Assistant would be able to offer contextual information using Lens even for events. It showed Google Lens reading a sign board outside the movie theater and providing information along with options like booking tickets, adding the show time to the calendar, and more. 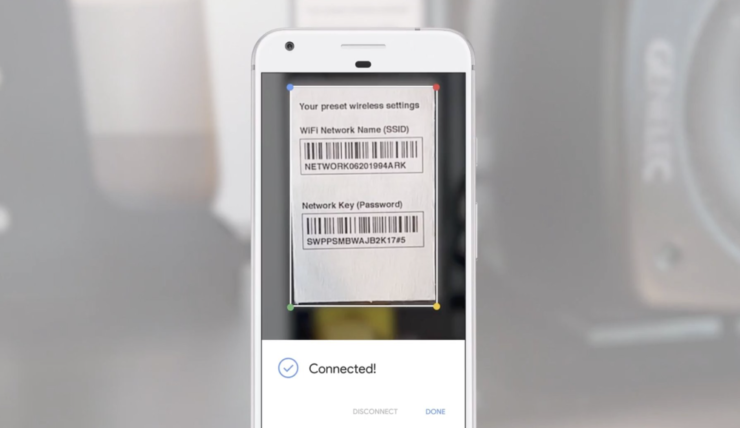 Admittedly, the most interesting example involving Google Lens’ was where it helped in connecting to a Wi-Fi network by looking at a photo of a Wi-Fi network along with the password. Google Lens would make Wi-Fi connectivity even faster by just being pointed at the Wi-Fi information, after which it instantly connects your device to the network. At the event, Pichai also said that Google Lens would first roll out Google Assistant and Google Photos. After that, it will be making its way to other Google products.